It’s time to hit the road this summer and plan the Ultimate Road Trip! 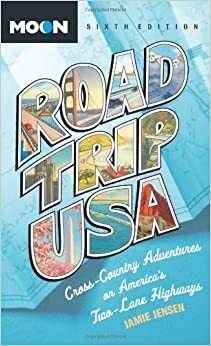 The great American road trip is the highlight of many travel bucket lists—and with the release of the newest edition of the best-seller Road Trip USA: Cross-Country Adventures on America’s Two-Lane Highways, travelers can make this the summer they cross that trip off the list. In addition, Moon Travel Guides is proud to be expanding the Moon Road Trip series with four new regional titles: Moon Florida Road Trip, Moon California Road Trip, Moon Pacific Northwest Road Trip, and Moon Blue Ridge Parkway Road Trip—plus five more titles scheduled in the coming year. Now in its seventh edition, Jamie Jensen's best-selling Road Trip USA is better than ever. Inside, you’ll find cross-country routes and road-tested advice for adventurers who want to see the parts of America that the interstates have left behind. Jensen also includes mile-by-mile highlights celebrating major cities, obscure towns, popular attractions, roadside curiosities (if you’re looking for the world’s largest jackalope, you’re in luck), local lore, and oddball trivia. With full coverage of more than 35,000 miles of classic blacktop, Road Trip USA will take you off the beaten path and into the heart of America. Jamie Jensen was immersed in road trip culture from an early age. He grew up in Southern California, back when freeways were new, cheeseburgers cost a quarter, and every beach had a beachfront amusement park. After a three-year stint bumming around the country, making hay in Kansas, and ghostwriting a book for the Grateful Dead, Jamie set to work researching and writing Road Trip USA. Since then he’s traveled more than 400,000 miles in search of the perfect stretch of two-lane blacktop. When not crisscrossing the country by car, he rides his bike whenever possible. Jamie lives with his wife, Catherine, and twin boys, Tom and Alex, in New York City, at the east end of the Lincoln Highway. Jamie Jensen lives in New York, NY. Matt De Fina was born with Cystic Fibrosis- a fatal, genetic disease that predominantly effects the lungs. Cystic Fibrosis causes the body to produce abnormally thick and sticky mucus. This thick, sticky mucus obstructs the airways, causing decreased lung capacity and decreased lung function. The mucus also serves as a breeding ground for harmful bacteria, which lead to life-threatening lung infections, as well. Matt was diagnosed with this disease at 20 days old and his parents were initially told that he wouldn’t live to see his 4th birthday. Despite this grave prognosis, Matt’s parents were determined to see him beat this disease and live a normal, happy life. Thus, they were very disciplined and dedicated in their approach, making sure that Matt never missed a medication or treatment, received proper nutrition, and saw his Pulmonologists at Oakland Children’s Hospital on a regular basis. Despite their efforts, Matt was still hospitalized many times throughout his childhood due to exacerbations of his Cystic Fibrosis. However, Matt and his parents were able to beat that prognosis and by the time he was in Elementary School, his disease began to stabilize and he began to flourish in school, sports, and other activities. Throughout Elementary, Middle, and High School, Matt was very active and played numerous sports, including Baseball, Basketball, Tennis, and Track & Field. His Cystic Fibrosis was under control. After high school, Matt attended college at California State University, Fresno, where he earned a Bachelor of Science degree, was inducted into the Order of Omega National Honor Society, and was the President of his fraternity: Sigma Phi Epsilon. A few years later, Matt also earned an MBA degree from St. Joseph’s University in Philadelphia. While at Fresno State, Matt met the woman of his dreams- Denise. They began dating and were married in 2003. For much of his adult life, Matt’s health remained stable and he was able to work full-time in the medical industry. In his career, he worked as an EMT, a Pharmaceutical Sales Rep, and a Medical Device Sales Rep. He and Denise also enjoyed traveling and eventually discovered Napa Valley. Matt and Denise fell in love with Napa Valley from the moment they first visited. 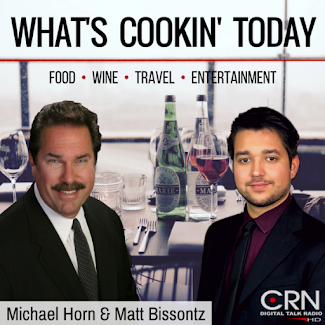 They became fascinated with wine and dreamed of one day owning their own wine brand. For many years, Napa Valley was just an annual or bi-annual vacation, but in 2010, a new job for Matt allowed them to relocate to the San Francisco Bay Area. They chose to settle in none other than Napa County. However, it was around this time that Matt’s health began to decline quickly. 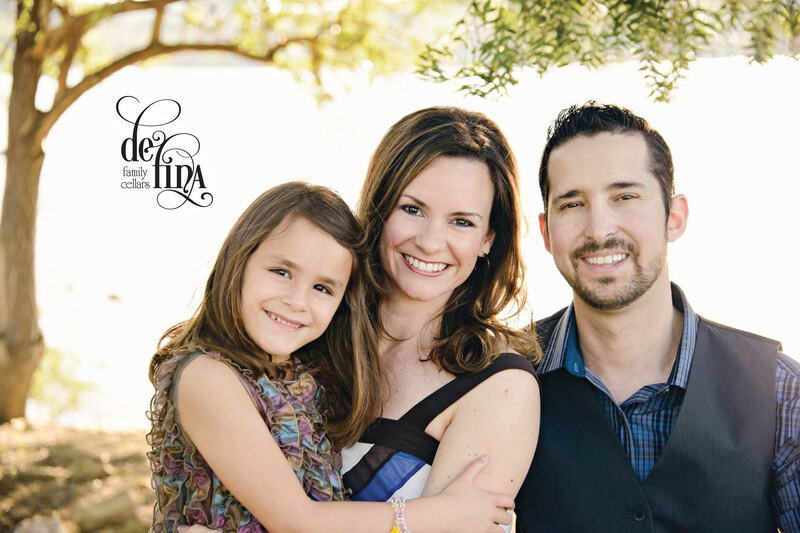 Matt began seeing the CF medical specialists at Stanford University Hospital for his care. Despite doing everything that he was supposed to – taking his medications, doing his treatments, exercising, taking in proper nutrition – his Cystic Fibrosis was worsening. By April of 2012, Matt’s lungs had deteriorated to the point that he was on oxygen full-time, his lung function had declined to 22%, and he was forced to go on disability from work. His doctors at Stanford told him that he only had 2 years left to live unless he received a double-lung transplant. In April of 2012, Matt was added to the transplant list to await a double-lung transplant at Stanford. On May 15 of 2012, Matt received that miraculous phone call- that there was a donor for him. A new pair of lungs had become available and were a perfect match for Matt. He was rushed to Stanford and received his double-lung transplant. His surgery lasted roughly 6 hours and went incredibly well. He remained in the ICU for only 1 ½ days before being transferred to a step-down unit. The nurses and doctors at Stanford were amazing and did a wonderful job taking care of Matt from start to finish! Matt was discharged just 9 days after his surgery and began the long road of recovery. Since that miraculous event, Matt’s life has done a complete 180. From being barely able to breathe and relying on oxygen therapy 24/7 to now having 100% O2 saturation on room air and being able to breathe deeply with his new lungs, Matt knows better than anyone just how precious it is to be able to simply BREATHE. Receiving a new pair of lungs has enabled Matt to do things that were previously very difficult, if not impossible. Simple things- such as taking a shower, getting dressed, tying his shoes, and simply walking- had become next-to-impossible. Matt couldn’t even pick up and hold his own daughter, Gracie, without getting incredibly short-of-breath. However, with his new lungs Matt could suddenly do all of these things and more! Once Matt received a new lease on life, he and Denise promptly began living with the philosophy that life is too short, and thus, we shouldn’t take any breath for granted. Therefore, we should enjoy every moment and live life to the fullest with every breath we take. With renewed health and vitality, Matt and Denise De Fina figured now was the best time to realize their dream of launching their own wine brand. With all of the ‘breathing’ issues that Matt has faced in his lifetime, the De Fina’s wanted to use this as an opportunity to not only make delicious wine, but to spread awareness of Cystic Fibrosis, Organ Donation, and Transplantation. Without Matt’s double-lung transplant, he wouldn’t be here today. De Fina Family Cellars would not exist. Thus, you wouldn’t be able to enjoy our fabulous wine and everyone would lose out! So…if you aren’t already a registered organ donor, please become one today! Who knows—your organs could lead to more fabulous wine someday!